Dai Lanh Cape (Phu Yen Province) – the east point of Vietnam is always the first place in mainland lighted up by sun rays in the morning. That’s why watching sunrise at this place is very special moment of your life. 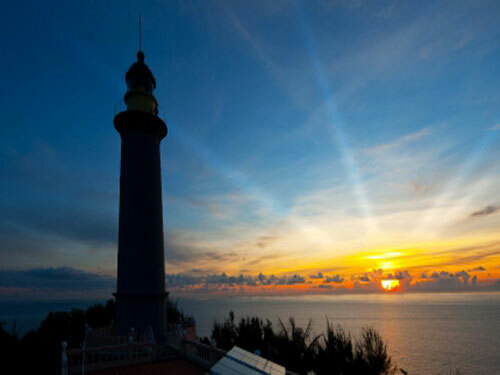 To enjoy the beautiful sunrise scene on Dai Lanh Cape, you can watch it from Dai Lanh Lighthouse located on the cape. Standing on the highest spot of the lighthouse, you can see the whole amazing view of the sea and the sky turning into red when giant sun ball coming out. It is definitely the most beautiful and unforgettable moment in your life when watching this magnificent scenery of nature. Visitng stunning Con Dao Island, you will have chance to discover Con Dao Prison that French Colonist built to keep and torture Vietnamese political prisoners. More than 20,000 Vietnamese nationalists died during the prison time. Among them, 16-years-old heroin Vo Thi Sau who was intered at Hoang Duong cemetery is a very special phenomenon. People have kept telling the legendary story of the brave teenager girl Vo Thi Sau. The day she was taken dead penalty, she was not afraid but kept singing the song about her beloved country while 7 guns was put forward her. She still stood undauntedly when she was shot with resilient eyes. 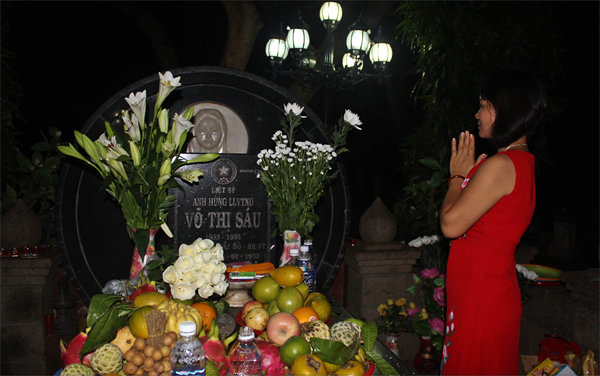 It has been a tradition that everyone come to visit Vo Thi Sau’s grave at midnight ( right at 0 AM) to show their respect and gratefulness to her. Fansipan Mount is the highest mount in Indochina located in Lao Cai Province, about 9km to Sapa. 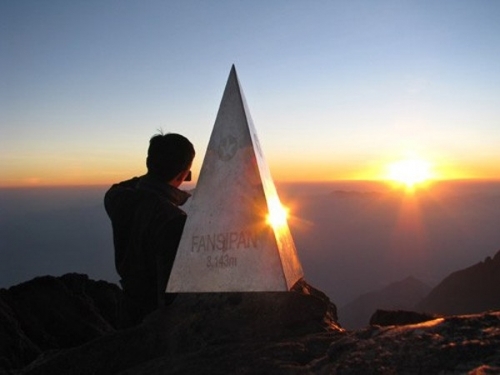 With the height of 3,143m, Fansipan is a real challenge for trekkers and climbers to conquer. Climbing up to the top of the mount is very tough and somehow risky, but when standing on the highest position of Fansipan, you will feel worthy and victorious. The view from here is also awesome and breathtaking with white clouds, blue sky and imposing landscapes below. The coastal road along Cam Ranh Bay (Khanh Hoa Province – South Central Coast) is one of the most beautiful coastal roads in the world. 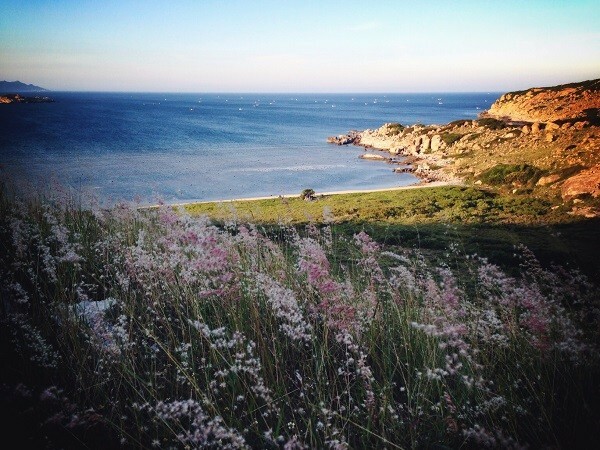 Riding a motorbike or a bike on this road, you can see charming scenery of a coastland with blue sea, blue sky, white sand stretch on one side and wonderful fields of wild flowers and green grass with scattering cows and rock hills on the other side. It is one of the eye-catching scenes you have ever seen in your life. 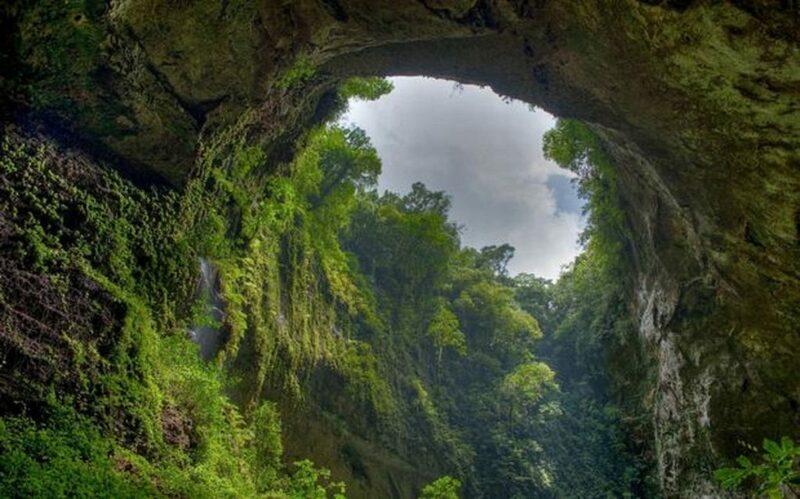 The new world’s natural wonder Son Doong Cave (Quang Binh Province) has recently drawn a lot of attention. This largest cave and also one of the most attractive destinations in the world is an actual challenge for explorers. The cave is 200m in height, 150m in width, and at least 5 km of length with spectacular stalactite collection, attractive “cave pearls”, broad river flowing along the cave and one-of-a-kind green forest inside. It is truly a masterpiece of Mother Earth. The trip to discover Son Doong lasts at least 6 days and requires a lot of physical duration. That’s why this adventurous trip is not for anyone. You have to pass some health test before being accepted for exploring. Besides, to avoid destroying the pristine condition of Son Doong the local authority just allows four tours per month with maximum people of 8 for each tour.